Plot Synopsis: In the dark heart of a sprawling and anonymous city, two assassins (DEXTER FLETCHER, MAX IRONS) carry out a sinister mission, a teacher (SIMON PEGG) battles a fatal illness, an enigmatic janitor (MIKE MYERS) and a curious waitress (MARGOT ROBBIE) lead a dangerous double life. Murderous consequences unravel in the dead of night as their lives all intertwine at the hands of a mysterious criminal mastermind who is hell-bent on revenge. 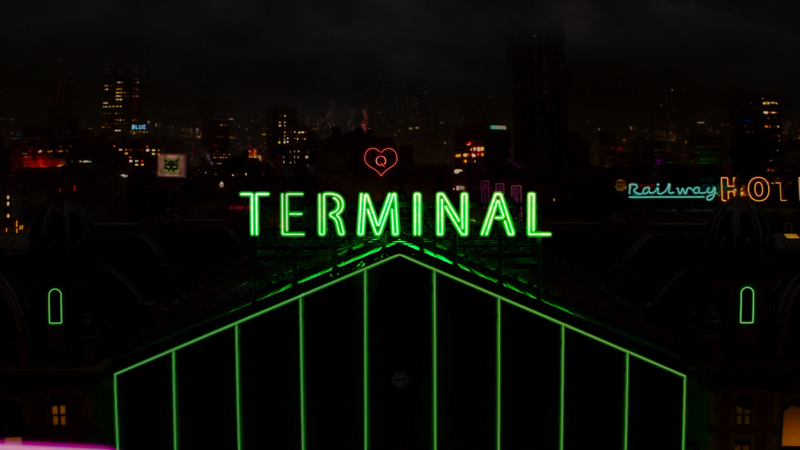 Quick Hit Review: Terminal is the kind of movie that’s not as cool as it thinks it is with dialogue that seemed to be a poor Tarantino imitation and is very much style over substance with some influence from Sin City. That said, the performances for the most part were fun, especially Margot Robbie certainly channeling her Harley Quinn from Suicide Squad and I guess it’s nice to see Mike Myers in a movie again, even if his janitor portrayal was a bit too cartoony at times. This release comes with a slightly embossed and reflective slip cover. 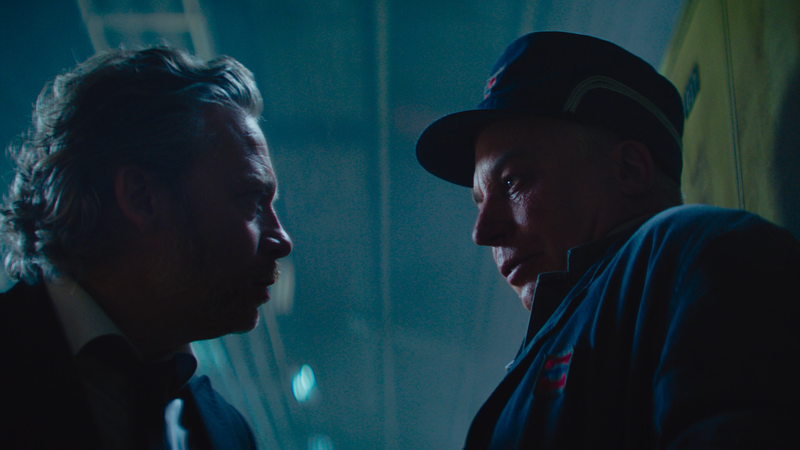 Features include The Cast of Terminal (6:14; HD), Building the World of Terminal (10:20; HD) and From Concept to Creation (2:05; HD) featurettes and a Photo Gallery. RLJ Entertainment enters the Terminal onto Blu-ray presented with a 1.78 widescreen aspect ratio and a 1080p high-definition transfer. Although technically this should’ve looked beautiful, I felt the detail wasn’t terribly sharp though some color does pop, mainly the red in Robbie’s jacket as well as a strange strobe effect going down a hallway. The included DTS-HD Master Audio 5.1 track is serviceable if not basic. Dialogue coming from the center channel with good clarity while the front and rear channels is mainly relegated for some minor ambient noises; this isn’t a lively lossless track, but effective enough. 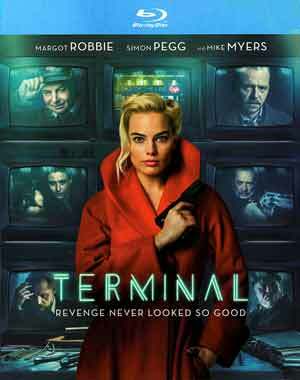 Overall, Terminal had plenty of potential with a respectable cast headed by Margot Robbie who turns in another insane performance along the lines of Harley Quinn, sadly the story wasn’t up to snuff and it had a very artificial cool factor that didn’t work. The Blu-ray released by RLJ offers good video/audio transfers and a so-so selection of bonus features.